The year's greatest hip-hop beef is still blossoming as Shia LaBeouf and Soulja Boy continue to take public shots at one another. Shia's freestyles resulted in him being banned from Atlanta, as per Soulja's warning, but now the rappers could be nearing a peace deal. Speaking with TMZ, Soulja Boy complimented Shia's delivery, but warned that his music career could be cut short at any minute. Further, he told LaBeouf to stay in his lane. "You was a actor," Soulja said. "You was in Transformers. You was in Holes. You was on the Disney Channel, you don't have no business with my name in your mouth. And he started it, he dissed me first." 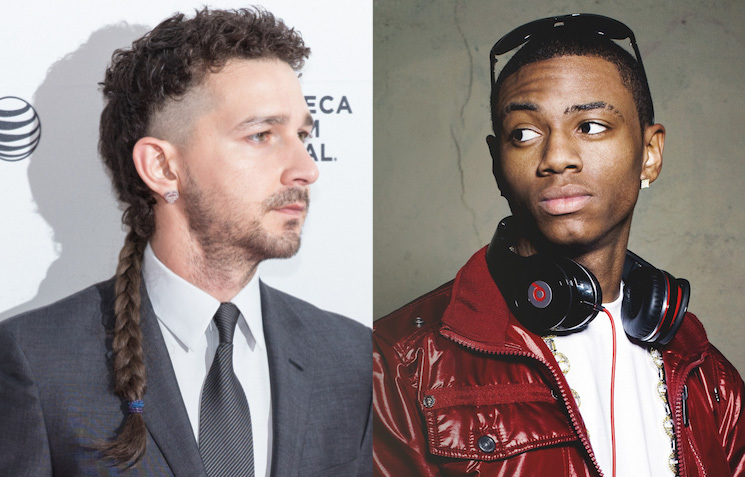 Soulja added that he would give Shia LaBeouf a pass in exchange for a role in the next Transformers movie. Of course, Shia hasn't been in a Transformers movie in half a decade, and the final Michael Bay entry in the franchise is likely already completed. Can Shia and Soulja find peace? Only time will tell.